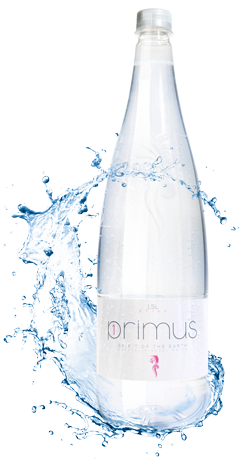 The brilliant fresh tasting Primus mineral water from the Carpathian basin, rich in minerals in the heart of Europe,. Our fountain is located in Zsambek near to Budapest. The water gushes from the 452 meter deep karst, created 200 million years ago during the trias ages. This untouched, extra ordinary good quality of water contains valuable minerals as calcium, magnesium, hydrogen carbonates, sulphates. It is beneficial to the human body, as each mineral has a specific effect on our health: calcium is important for healthy teeth and bones, the magnesium strengthens your nerves, muscles and the myocardium. The sulphates are important for the hair, nails, skin and promote digestion. Being unique is insured by the silicon content which is the pledge of eternal youth stated by scientists. The water is bottled for our customers as it was saved by the nature, without any water treatment. The Primus mineral water is slightly alkaline (PH=7,53) tasting not salty not bitter but comfortably natural and neutral. This untouched, extra ordinary good quality of water contains valuable minerals as calcium, magnesium, hydrogen carbonates, sulphates.